So I've talked about the prep. I've talked about the pain. Now it's time to dish about the product: the tips I've learned! 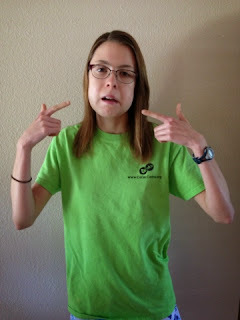 Now, as I already mentioned, wisdom teeth removal isn't easy for any teenager, but throwing celiac into the mix complicates the plan. And by complications, I mean less food options, no antibiotics and narcotics beyond Motrin and Tylenol, and walking around like a glutened zombie for days. Yep, it's been fun. Five days since my surgery, however, I'm emerging from the wisdom teeth brain fog and smelling the flowers (err…baked goods). This college celiac has officially survived! And here are the top 4 ways that any celiac can survive (and even thrive) minus four wisdom teeth. 1. Plan all the food. Make all the food. Eat all the food! For the typical victim of a wisdom teeth snatching, ice cream fills the void. Pick a couple different flavors and drown in frozen sugar. My gluten and dairy hatin' stomach was having none of that, though - and that's where my banana nice cream came in. 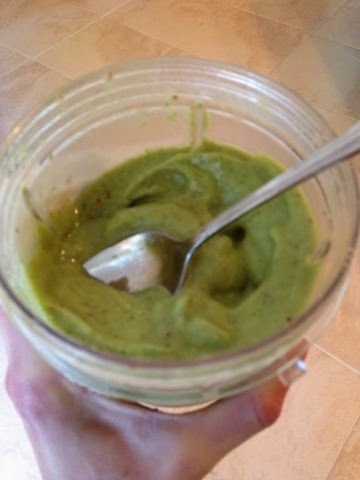 Spinach banana ice cream in a cup! I've ranted about banana nice cream before, but I've never loved it more than this last week! Every day since my surgery, I've eaten a smoothie from my new Nutribullet blender (i.e. the current love of my life) for at least one of my meals. Yesterday, I ate it for all three. And, yet, it still makes my taste buds dance! My grocery clerk probably thinks I have a pet monkey by how many bananas I bought, but it was definitely worth it. frozen blueberries and banana, ice, and sunflower butter! 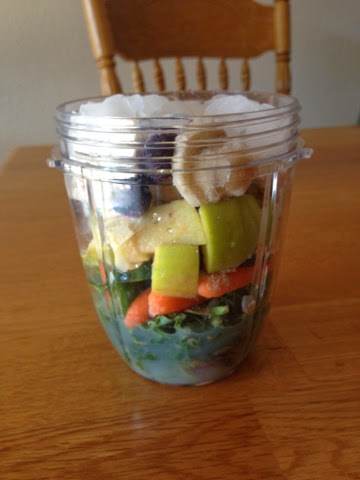 I recommend buying and prepping a wide range of ingredients (frozen bananas and blueberries, apples, mixed greens, nut butters, and protein powders are my favorites) and experimenting with each smoothie. When you throw goodies like sunflower butter and protein powder, it's hard to go wrong! Some of my other favorite snacks were applesauce, store-bought fruit purees, mashed salmon with avocado, and Gluten Free Cafe's Chicken Soup. Unfortunately, my quinoa oats were forbidden because of the seed-like size. 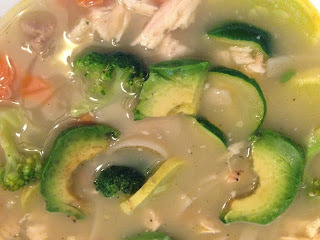 Chicken Soup dressed up with steamed veggies and avocado! One of my experimental creations deserves a special shout-out, though: our apple cinnamon bread pudding, made with apples from our backyard and Pamela's gluten free bread mix. I found the recipe on runningforspoon's website, and absolutely loved it! We ended up doubling the apples in her recipe and plan on adding more eggs and milk next time too. When we pulled it out of the oven, though, I almost swooned (and not because of the pain meds, this time!). The bread and egg mixture were perfectly fluffy and the apples tasted soft and sweet. Even better, this recipe calls for minimal sugar and butter, so you can dig in without the guilt. The perfect soft and savory combo for a healing mouth. 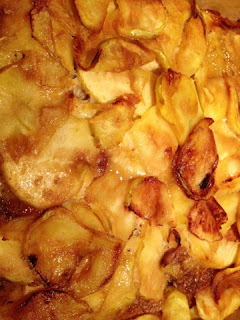 Our apple cinnamon bread pudding! 2. Next, despite all of your food prep and possible avoidance of medicines, expect nausea and stomach issues. I didn't go on antibiotics or narcotics because my doctor worried it would mess with my digestive system. Unfortunately, there are some medicines that you can't (or at least, don't want) to skip, like general painkillers and surgical anesthesia. At least for me, these added up to one major week of tummy tantrums. 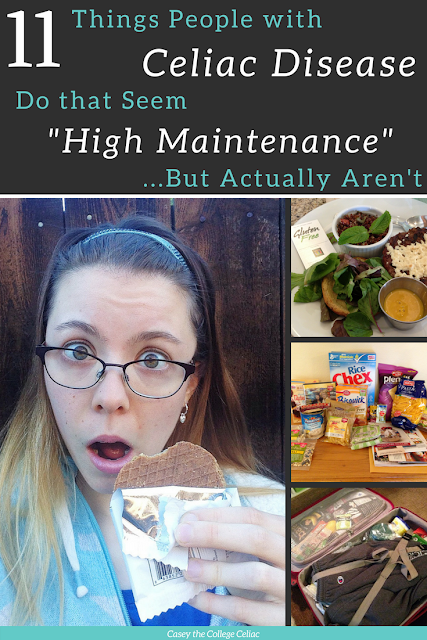 In my last post, I compared recovering to being glutened. I suppose I should have expected the nausea, lack of appetite and intestinal explosions that are a part of it. There really isn't a best way to counteract this. Hurt or feel sick? Take your pick. My advice, though, is to stock up on your favorite post-glutened comforts - whether it's a great anti-nausea pill, a heating pack or specific cup of tea - and be ready for the fight. 3. Moving past the tummy, let's talk about the brain. More specifically, I'm going to dish on how to conquer the boredom that filled my post-op days. The day of my surgery, I didn't want to do anything but flop on the armchair and vedge to bad reality TV. Still high on anesthesia and major pain meds, winning the world title as the Biggest Couch Potato sounded like a great plan. But, as the days passed and I started healing, restlessness attacked. I'm the kind of a gal who always likes to be doing five things at once. (I'll admit that as I wrote this post, I was watching House on Netflix). 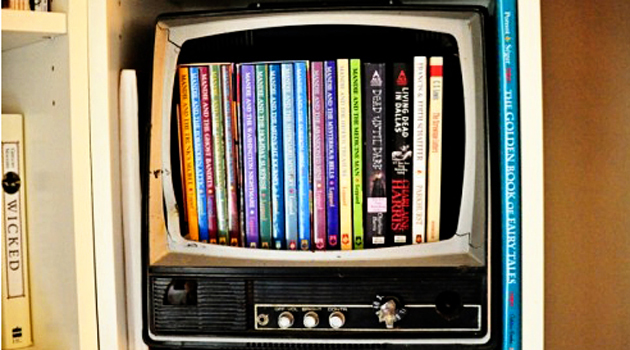 That's where TV and books came in. They seem like no-brainers until when, after surgery, you turn on TV or look for a book and realize you don't have any good ones. For TV, try to tape your favorite shows ahead of time. As for books, make a pile of favorite reads close to your chosen spot to pass out. This broke college student favors the library, but whatever floats your boat! Just make sure you have some entertainment to keep you busy during your long week of recovery. 4. Finally, the tip that was (and is) hardest for me to master: focus on healing and resting. This is easy to follow when you feel glutened and have as much motivation to move as a squashed beetle. But, as I'm finding out on this fifth day, it's dang hard when the sun is shining and my mouth stopped screaming. I look outside and I want to run! I want to skip! I want to - if anything - get out of this house now that my face doesn't mimic a mutant squirrel's! Except I can't. 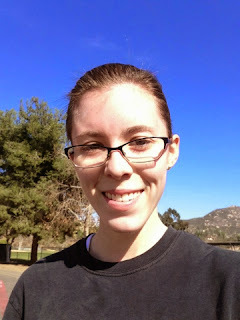 According to my instructions, this gal can't lift or do intense exercise for at least three more days. Instead of feeling down because of these limitations, though, I'm going to follow Amber and embrace positivity. I'm not being lazy, I'm letting my body recuperate from intense surgery. This isn't an inconvenience, it's a spa week of rest and relaxation. Most importantly, by doing nothing, I am actually doing everything to help my body recuperate and return stronger than ever. So, no matter what obstacles or frustrations emerge after the wisdom teeth leave, remember that your job as a patient is simple: relax, recuperate and heal. Easiest homework assignment ever, right? Of course, I wouldn't say that this has been a fun week for me. Losing four little teeth has never hurt so much! But, I've learned a lot about food (new smoothie flavors galore! ), boredom tricks, and myself throughout the process. My biggest hope? 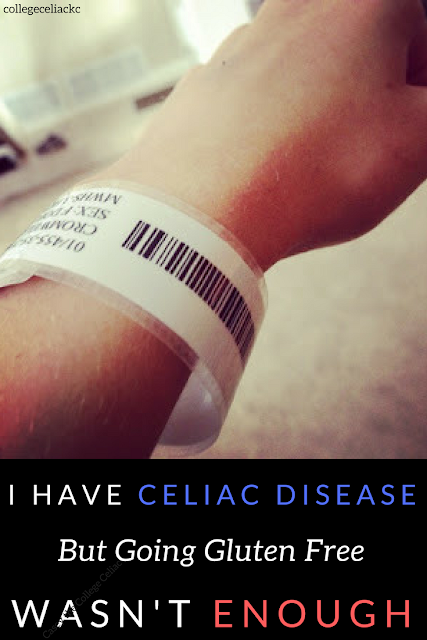 That some of the lessons I shared will make another celiac's right of passage a little bit easier! (This post is also found in the links at runningwithspoons). Did celiac impact your wisdom teeth removal? Any tips? Comment below! I would say that no matter what obstacles or frustrations emerge after the wisdom teeth leave, remember that your job as a patient is simple: relax, recuperate and heal. Easiest homework assignment ever. Going through wisdom tooth removal must have been really painful, and with those can’t eat moments, I can see how it was really a hard time for you. Good thing you had a plan for what you should eat and what you should do. Hopefully everything’s good now. Thanks for sharing these tips with us. Cheers!